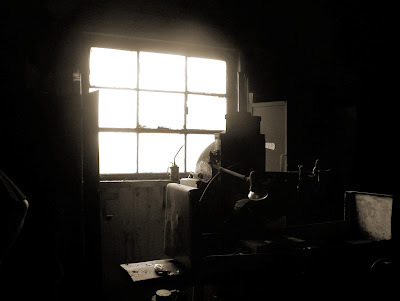 This batch of photos is from one of the old workshops located inside the mill. 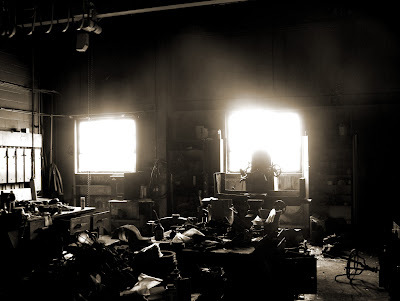 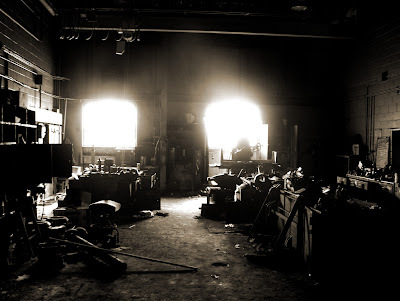 The workshop was filthy, old rusted tools were strewn about and there was a soft carpet of fine black soot. 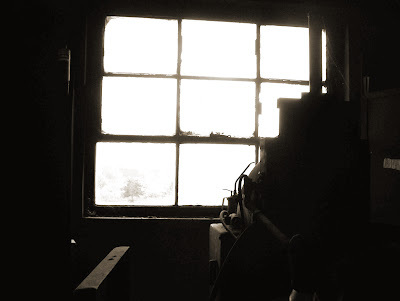 The lathe beneath the window gave me a fright for a second, I'd thought it was a person. 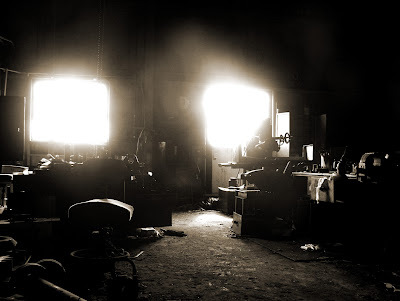 I think these might be my favorite of the photos.